Q&A: Is Custom (Wavefront) LASIK Right For You? As a former "Top Gun" F-14 Tomcat fighter pilot and military eye surgeon, retired U.S. Navy Capt. Steven C. Schallhorn, MD, has a unique perspective on custom (wavefront) LASIK. Dr. Schallhorn is an ophthalmologist particularly interested in keen vision for fighter pilots. He established a refractive eye surgery program at San Diego's Naval Medical Center and was the first U.S. Department of Defense eye surgeon to perform PRK, LASIK and phakic IOL procedures. Until his retirement in 2007, Dr. Schallhorn also directed and oversaw expansion of the U.S. Navy's refractive eye surgery program to many other locations. Now in private practice in San Diego, Dr. Schallhorn is the medical director for Optical Express. He is a frequent speaker at conferences where the world's leading eye surgeons discuss refractive surgery procedures such as LASIK. Q: Dr. Schallhorn, could you define wavefront-guided (custom) LASIK? , which essentially takes a "fingerprint" of the eye. This unique "fingerprint" is then used to correct vision in an equally sophisticated, computer-controlled laser. Q: What is the difference between wavefront-guided LASIK and other types, such as conventional or optimized? A: In simple terms, conventional or standard laser vision correction uses the prescription in a pair of eyeglasses as the basis to correct vision. It does a great job of reducing or eliminating the need to wear glasses or contact lenses. On the other hand, it can cause other types of optical aberrations, especially spherical aberration. These other optical aberrations can cause focusing problems and make objects blurry. In particular, a significant amount of spherical aberration can cause visual problems especially at night, in the form of glare and halos around lights. The "optimized" LASIK procedure was designed to be spherical aberration-neutral, neither creating nor reducing it. The treatment is still based on the refractive prescription in glasses. But it does not measure and cannot correct other types of optical aberrations in the eye. The wavefront-guided procedure is much different than either conventional or optimized. It uses a device, called an aberrometer, that measures all the optical aberrations of the eye, including the refractive prescription, to correct vision. Wavefront, just like optimized, can minimize induction of spherical aberrations. But it can also measure and treat other higher-order aberrations. Wavefront LASIK is very precise, and the results are better. But it's not a matter of one procedure not being adequate or good or effective. All these procedures greatly exceed established measures of safety and effectiveness. You might say that optimized LASIK was a great forward step, and wavefront-guided is a further great forward step. A: An aberration is any optical irregularity that causes images to be blurry. Common aberrations are nearsightedness and astigmatism. These can be corrected with glasses and are now termed "lower order" aberrations. However, as we have come to discover, there can be other types of optical aberrations in the eye that cannot be corrected with glasses. These are collectively called "higher order" aberrations. can both have these aberrations. The wavefront device measures all the optical aberrations, lower and higher order, and attempts to correct them. That's the beauty of wavefront. Because of the nature of those aberrations, they may be causing impairment of visual quality. Q: But isn't the cost of LASIK eye surgery for a conventional or optimized procedure much cheaper? If a person needs only an ordinary correction, why spend more for wavefront-guided LASIK when conventional or optimized LASIK procedures give acceptable results, too? A: There is no getting around the fact that wavefront-guided LASIK uses much higher technology and is more expensive. It would be the same as saying that a computer is higher technology and more expensive than an abacus or slide rule. We would all agree that a computer is well worth the extra expense. But the real advantage is more than just higher technology. Wavefront-guided LASIK results in better outcomes, better visual quality — especially when it comes to vision at night or in a dark environment, or when there is a high visual demand. This has been demonstrated in studies. Q: How much more expensive is wavefront-guided LASIK than other types of procedures, such as optimized? A: It depends on the practice, but the difference usually is several hundred dollars more per eye. Q: Would anyone who qualifies for LASIK be considered a candidate for a wavefront-guided procedure? A: Some patients are not good candidates for wavefront-guided treatment, because it requires a very precise measurement with an aberrometer. If the aberrometer cannot make a very precise measurement of the eye, then the patient should not have wavefront-guided LASIK. (focusing ability) enough for a precise measurement. Also, some aberrometers require the pupil diameter to be large enough for a measurement. If the pupil diameter is not large enough in low light, then that person may not be a candidate. In these cases, an optimized procedure may be the best. Q: What percentage of candidates could have a wavefront-guided procedure? A: Approximately 95 percent of potential LASIK patients are great candidates for a wavefront-guided procedure. Q: Do you have any other thoughts for someone who might want a wavefront-guided or other procedure? 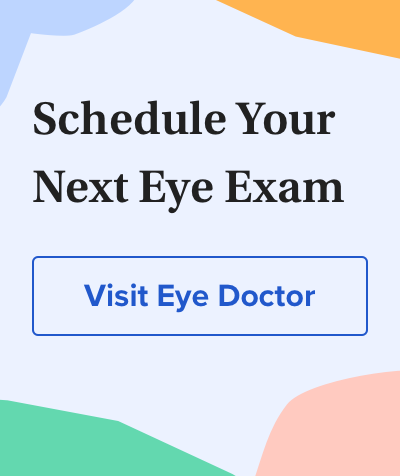 A: A well-performed optimized procedure and a well-performed wavefront-guided procedure may have very similar results when viewing a simple eye chart. The differences between the two would be most apparent for other aspects of vision, particularly tasks that require a high visual demand, such as night driving. This is where the superior visual results of the wavefront-guided procedure really shine. Published results of wavefront-guided procedures have reported improved contrast sensitivity and fewer higher-order aberrations compared with a standard treatment. Some examples of how this would help in more practical terms would be an improved ability to read a road sign in a fog or more easily recognizing a face in a crowd. The wavefront-guided procedure results in a higher quality of vision. If someone is interested in the highest quality of vision after LASIK — and I don't know who wouldn't be — then I would recommend a wavefront-guided treatment. As a powerful testimony to this, it was the superior results of wavefront-guided procedures that led to the approval of LASIK for military fighter pilots and NASA astronauts.